The Autumn term saw us delivering PE once more in primary schools across the County and it also saw St. Peter’s tennis continue where it left off at the end of the Summer term. 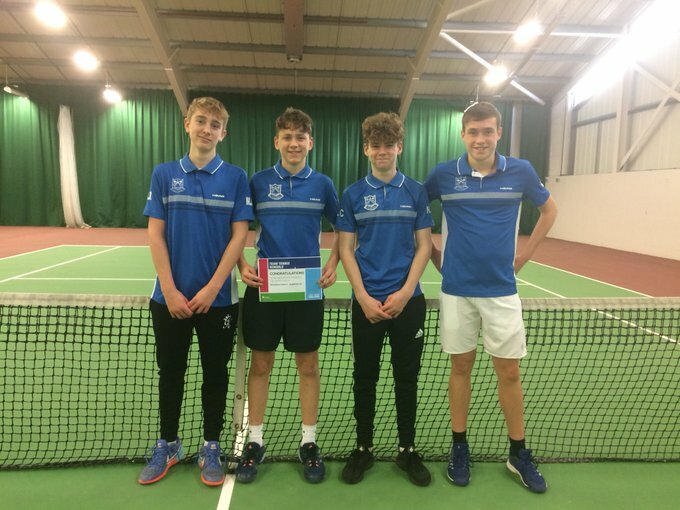 The Under 15 Boys team consisting of (left to right) Miles Ray, Liam White, Harry Chambers and Luke Fullard secured a place in the top 8 schools in Britain once more at this level. The boys had made it through to the Regional Finals which consist of the top 4 schools in each region (of which there are only 4 in this competition) playing off with the winner progressing through to the Last 4 in Britain – the National Finals. For the 4th year running the boys put in a fine display in Exeter winning their semi-final before succumbing to Millfield Independent School in the Regional Final (Last 8 in Britain). St. Peter’s finished 2017 as the 10th ranked secondary school for boys and 13th ranked for girls in Britain across all age groups. The combined standing meant that St. Peter’s was the top Comprehensive School in Britain for tennis! There is no doubt that 2018 will be remembered for the weather! A long, cold and snowy Winter followed by the most amazing, sunny and hot Summer that anyone can remember! During the Spring term, most of our teaching took place inside in the primaries we were in. 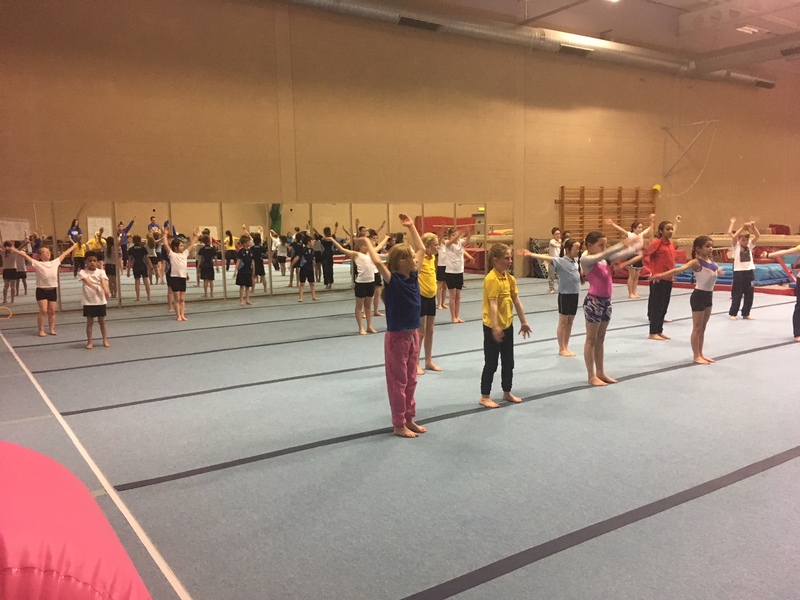 This enabled us to deliver a programme focusing on functional movement, fitness, gym and dance. For our Primary Festival in the Spring term, we did something totally different. 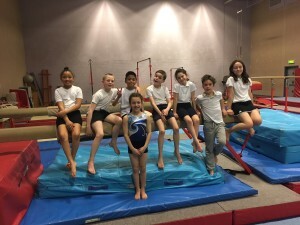 We took it away from our normal home at St. Peter’s and went on the road to the Gymnastics Suite at GL1. In addition, it wasn’t a traditional ‘competition festival’ but more of an ‘experience’. 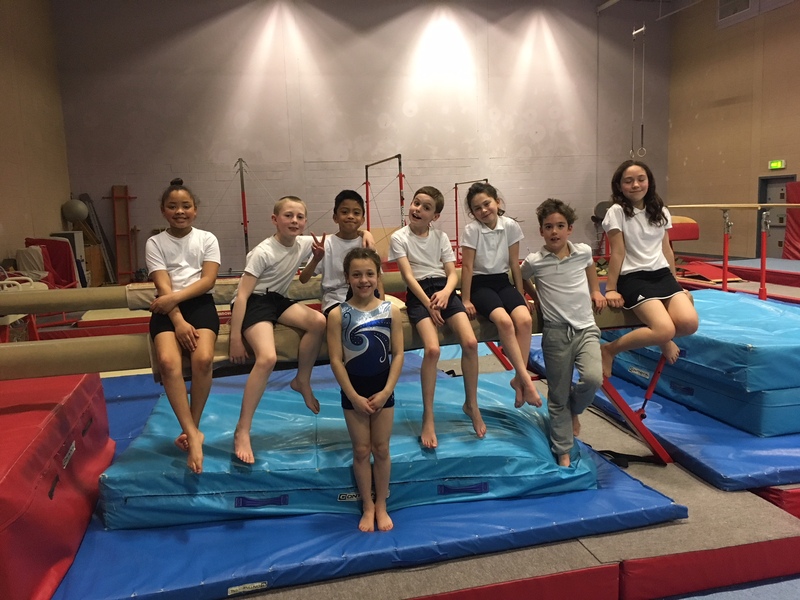 The pupils had some fantastic gymnastic tuition from Olly Lloyd and his team and were able to learn ‘flips’, ‘somersaults’ and even try ‘tumbling’ using some incredible facilities. A great time was had by all with the favourite facility being the ‘foam-pit’ which even the teachers wanted to have a go in! 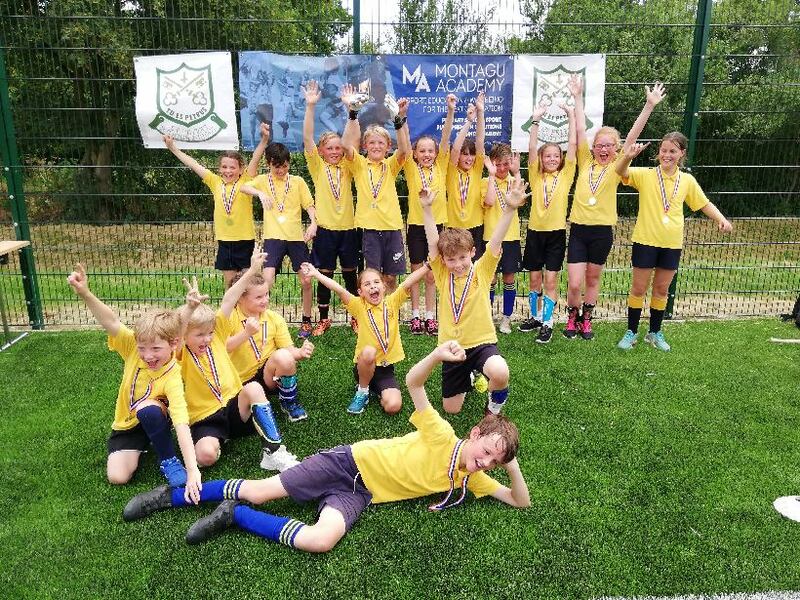 There was SO much going on in the Summer term for the crew at Montagu Academy! We delivered a comprehensive programme of Summer sports in our primaries including athleti cs, tennis, cricket and rounders. After suffering the cold and snow for so long the weather became ridiculously HOT HOT HOT (!) and we were able to spend the whole term teaching outside! We held a Primary Festival with a difference during this term as it coincided with the World Cup Football! We held a football themed Primary Festival on the brand new 3G Astroturf facility at St. Peter’s and we threw in a bit of rounders with it! It was a great afternoon of sport with a football ‘pro-session’ also being delivered courtesy of our very own Allan Hawkins. In a great contest where St. Mary’s and St. Joseph’s went ‘head to head’ it was St. Joseph’s that prevailed for the first time! 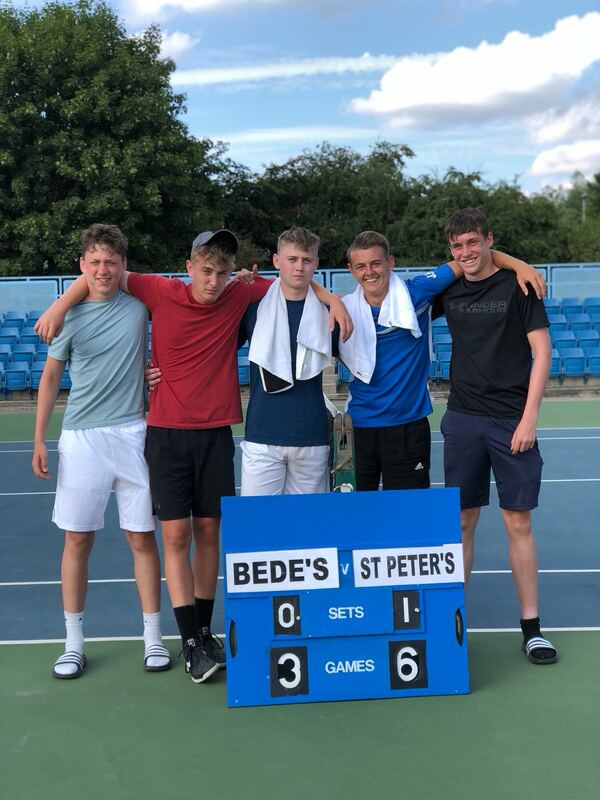 St. Peter’s has enjoyed a remarkable period on the tennis court with the boys or girls or both reaching the ‘top table’ of schools tennis every year for the past 5 years. An amazing achievement considering the limited facilities that the pupils have had to train on during this period – largely school playground tennis courts! This year, once again, the boys reached the National Schools Finals in Nottingham – the top 16 schools in Britain. 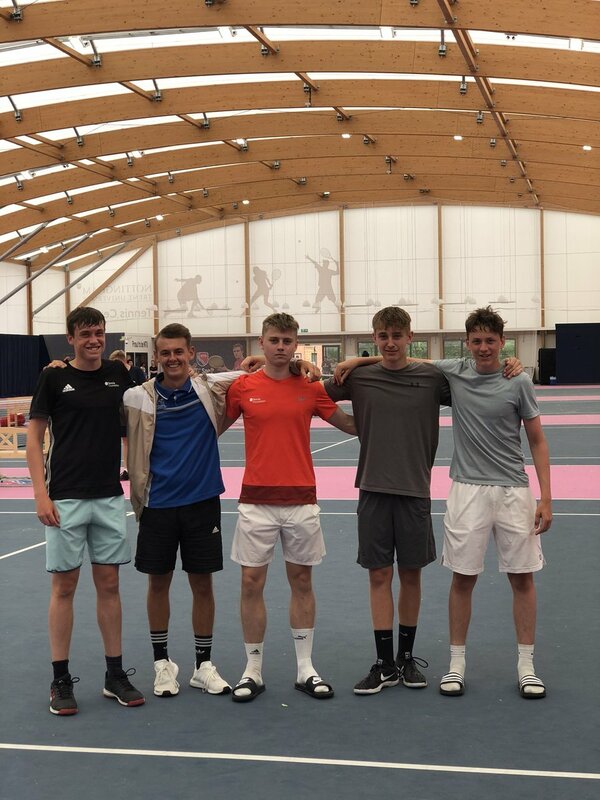 On Day 1, saw the boys face an impossible task as they drew the Number 1 seeds, and Champions last year, Culford Independent School without Captain and Number 1, Rhodri Atkinson. Day 2 against Bedes Independent School was different. The Captain returned and put in an inspired performance as he has so often during his time at St. Peter’s. 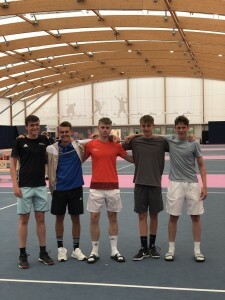 Rhodri won his singles 6-0, 6-0 at Number 1 and won his doubles with James Holden (who had also won his singles) to set-up a nail-biting shootout. Rhodri teamed up with Miles Ray to see St. Peter’s home! This guaranteed a top 12 finish once more. Day 3 brought with it another very difficult fixture against Millfield ‘B’ team and unfortunately Rhodri Atkinson was the only one to record a victory. It was a ‘B’ team where the players could easily have swapped places with those in the ‘A’ team as there were several highly ranked players from abroad. The final day saw St. Peter’s get back to winning ways against Alcester Grammar School. The boys put themselves in a great position after the singles with victories for Luke Fullard, Miles Ray and James Holden. Rhodri Atkinson put in an incredible showing at Number 1 but lost narrowly in 3 sets to a player who had taken part in qualifying for Junior Wimbledon the previous week. The final result saw St. Peter’s finish 11th in Britain for Boys Under 18’s once more to equal their standing from the previous year. Well done to the boys and to Nick Dill and Will Pinnell for leading them at Nottingham.